Very Good. Berenstain Bears and the Easter Story The PB (Berenstain Bears/Living Lights) by Berenstain Jan & Mike, 2012-01-10. Trade paperback (US). Glued binding. 32 p. Contains: Illustrations. Berenstain Bears/Living Lights. Intended for a juvenile audience. Good. 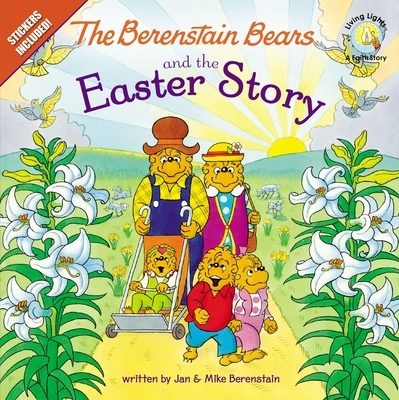 Berenstain Bears and the Easter Story The PB (Berenstain Bears/Living Lights) by Berenstain Jan & Mike, 2012-01-10. Trade paperback (US). Glued binding. 32 p. Contains: Illustrations. Berenstain Bears/Living Lights. Intended for a juvenile audience. New. 0310720877 Ships Within 24 Hours. Tracking Number available for all USA orders. Excellent Customer Service. Upto 15 Days 100% Money Back Gurantee. Try Our Fast! ! ! ! Shipping With Tracking Number. Good. 0310720877 Ships promptly from Texas.